Binomo - Review by "ProfitF"
Binomo is another innovative binary options broker with more focus on client support by providing good trading terms, analytical support and client support. 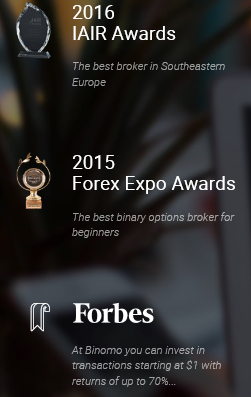 Let us look intodetail some of the features Binomo Binary Options broker offers. Binomo is regulated by the FMRRC (Financial Markets Relations Regulation Centre) which is an independent regulator for brokers and dealing centers. Binomo also has pending CySEC (Cyprus Securities and Exchange Commission) as well as CPO (Commodity Pool Operators) regulations. 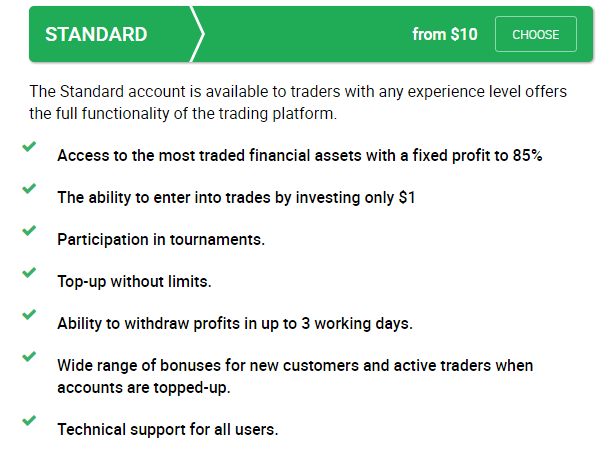 This broker offers instant trading on its web based platform with a time limit to cancel the traded option within 3 seconds. Investments can be made in either EUR, USD, GBP or the Russian Ruble. The maximum investment on one option is 2000 EUR/USD/GBP or 150000 RUB. 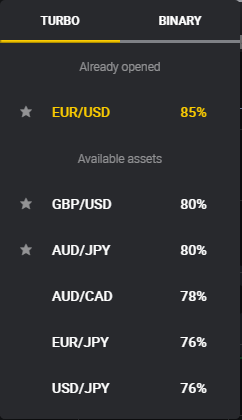 On the other hand, the minimum investment one can make on Binomo’s platform is 1 EUR/USD/GBP or 50 RUB. 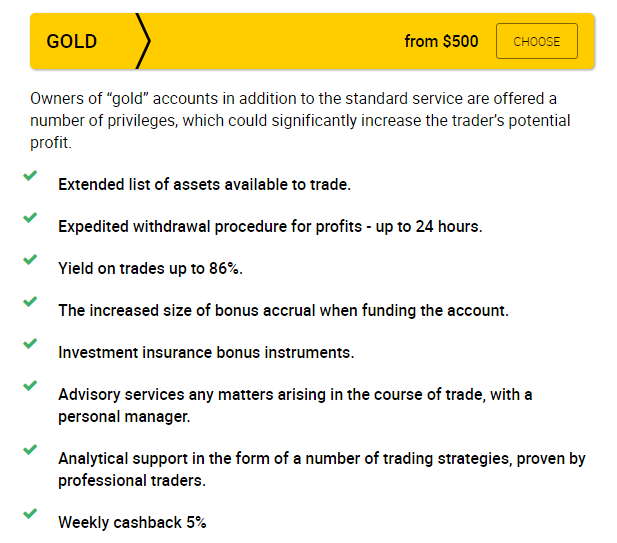 Some of the features that stand out are the 4 hour withdrawals on the VIP Account Type and 24 hours withdrawals on the Gold Account Type. VIP account holders also receive a weekly cashback up to 10% while the Gold account holders receive a weekly cashback of up to 5%. 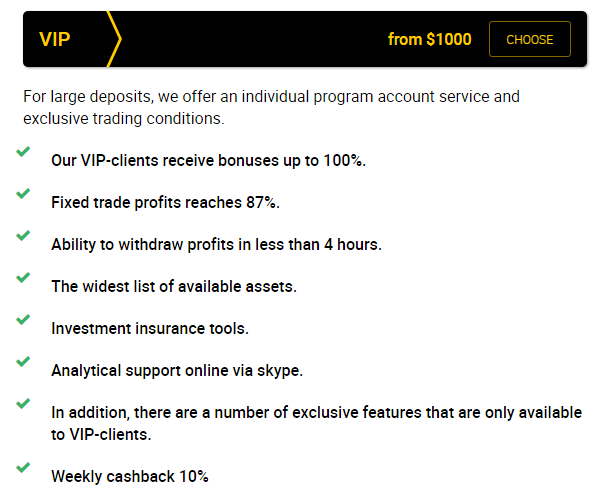 Option Payouts and Bonuses also increase with the account level, the VIP account having the bestconditions. One can register for a demo account on Binomo without any obligations to make a deposit. Deposits can be made using VISA, Neteller, Master Card, Yandex, QIWI, Webmoney and mobile commerce. The maximum deposit is 10000 EUR/USD or 200000 RUB. The minimum deposit is 10 EUR/USD or 500 RUB. Withdrawals can be made using the following methods Neteller, Yandex, QIWI, Webmoney and mobile commerce with a minimum withdrawal of 10 EUR/USD or 500 RUB. Withdrawals can also be done to your bank card but will take 3-5 business days to process. It is also easy to find assets with high payouts on the Binomo Trading platforms since the assets are arranged from the ones with the highest payouts to the lowest payouts. 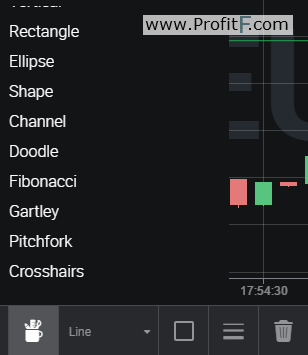 The Binomo platform has 15 drawing tools that can be used to do technical analysis on the chart with an option to adjust their width, style and color as well as delete them. 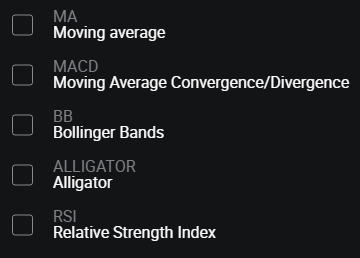 Unfortunately, for those who like using various technical indicators, the Binomo trading platform has only 5 technical indicators. However, it has the most commonly used indicators and hence still sufficient for most traders. Majority opinion (Percentage of puts versus calls). 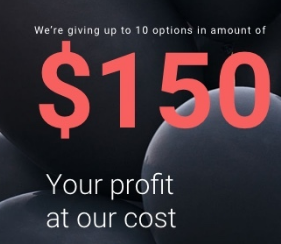 This is an innovative bonus by Binomo binary options brokers that refunds the losses incurred by your first 3 transactions. 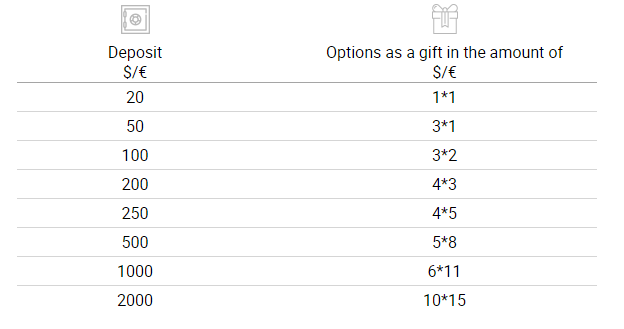 After one deposits funds, the losses from the first 3 trades are compensated up to the amount of the initial balance. Binomo also features daily technical analysis, market news, a knowledgebase and an investment ideas section. 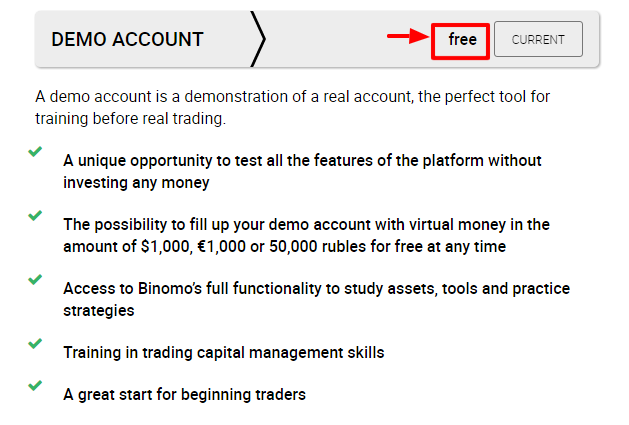 Binary Options traders can now test their strategies and experience a good trading platform without having to put in money first using Binomo’s demo trading account. 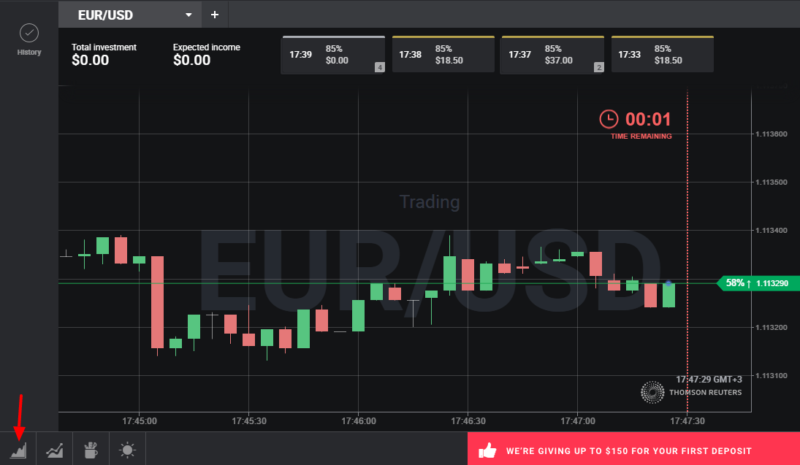 Binomo’s support team as well as a detailed knowledge base will also help new traders get up to speed with binary options investing in a short period of time. Now, everything seems OK with Binomo broker….“ProfitF team” will keep monitoring this broker and update this review if any changes take place.